Happy Halloween everyone!!! Cathy here today to share a project I made using Helmar adhesives. I have made some clear acetate pillow boxes for Halloween sweets.. These are great to give to those special little ones coming to your door on Halloween night. To start off I cut pattern paper 1 and 1/2 inches by 8 inches and another at 2 by 8, added the Helmar Runner adhesive to the thinner strip to stick to the 2 inch strip. Next I cut the pieces out from the KaDoodle bug Designs SVG file and layed out on the table to ink the edges with the Tim Holtz distress inks to give them dimension. Then I assembeld them with a glue pen. Next I wanted to add the ghosts to the pillows and wanted to make sure they stayed attatched and so I used the Helmar Super Tac Glue..
and here they are with CANDY in them!! I hope you like my Halloween goodie bag. And also that you have a safe night Trick or Treating..
Hello there, Sue here for the very first time! I'm so happy to be on the Helmar creative team. For my very first post I wanted to create a scrapbooking layout of the day I received the email that I had been accepted onto the team. I completed it using Helmar Professional Acid Free Glue on the whole layout as my amazing goodie box hadn't arrived! I used my sewing machine and a black fine liner to make a border and then sprayed ink randomly onto the paper; I glued the patterned paper and my picture to the middle of the border. Then I started to add embellishments. Because I wanted to use Helmar Professional Acid Free Glue on the whole layout I made my own dimensional ‘sticker’ to make a few things stand out. I folded a small piece of cardstock and glued it together and then glued it to the embellishments, it worked really well. I’m really happy with how everything turned out using just this sweet adhesive. I hope you have enjoyed my first project! Hello crafty friends, Sarah here with my first Helmar Creative Team project for you - a scrapbooking layout with a mixed media background. Some of the key products you will need for this project are a heavyweight cardstock (or watercolour cardstock), a water mister, Gelatos (I have selected three that match the colours in my layout), some clear packaging material, Helmar Professional Acid Free Glue, Helmar 450 Quick Dry Adhesive and Helmar Scrap Dots. You will also need your chosen embellishments, stamps, stamping block, texture paste, palette knife, heat tool, trimmer, patterned paper to mat your photo on, pencil and a chosen stencil. I first made a pencil mark on the cardstock as to where I wanted my photo positioned. Now to make our background - the fun bit! Take one of your gelatos and scribble it onto a piece of clear packaging material. Spritz with a little water. Fold the packaging over and 'smoosh' the gelato mixture. Turn it over and onto your cardstock. Press down on the packaging with your fingers to spread the gelato around. Continue doing this to get the effect you desire. If the colour isn't dark enough, continue this process until you achieve the colour you're happy with. Dry in between colours with a heat tool. You can then add various stamps to your layout. I used Black Staz-on ink which I find good when using other wet mediums on the page. Next grab your texture paste and chosen gelato colour. Use a palette knife to shave a little of the gelato off onto your craft mat or stamping block. Then mix the texture paste and gelato together - continue to add more gelato to get the colour you're happy with. The mixed up texture paste and gelato is now at the colour I want and is ready for applying through a stencil. Use the palette knife to apply the texture paste through a stencil onto your background. Leave to dry. For this layout, I used a circle wooden veneer piece from Whichcraft. I coloured this using the red gelato spread with my fingers. Now time to mat your photo with your chosen patterned paper. Adhere the photo to the patterned paper using Helmar Acid Free glue. I like to add some cardboard to the back of my photos to add some dimension. The acid free glue is great for this as well - adheres paper well and dries clear! I used the liquid scrap dots for edges of the photo mat to help give it dimension. The liquid scrap dots provide a clear 3-Dimensional effect. Stick down the photo mat to the layout. Now to adhere the circle wooden veneer piece. For this, I used Helmar quick dry adhesive. I LOVE this adhesive - it dries so fast (as the name implies) and great for heavier items and embellishments that are not paper based. Here it is stuck directly onto the photo. I like how the wooden piece highlights the faces in the photo (my son and his toys that is!). Thankyou for joining me throughout my layout creation - I hope that you enjoyed it! So happy to be back on the Helmar Design Team this term! Today I am sharing a Birthday card I made using Helmar Craft Glue and also Helmar Zapdots. For the main décor on this Birthday card I used my "Outline" stamps to layer and embellish a beautiful flower. The card has a distressed background and green is one of my favorite colors. So I started adhereing my background layers on my card and I also placed some pretty paper and a plain white sheet on the inside of the card for writing. Next I used the zap dots to layer the stamped and fussy cut flowers and give them dimension. This pretty flower stamp and the zapdots to give this card dimension makes all the difference. Hi! It's Krisy here today and I am so excited to be sharing my very first project with you here on the Helmar Blog. To be honest, our very first box of supplies hasn't turned up on my doorstep just yet but never fear, I am sharing a project using my absolute staples from my stash. 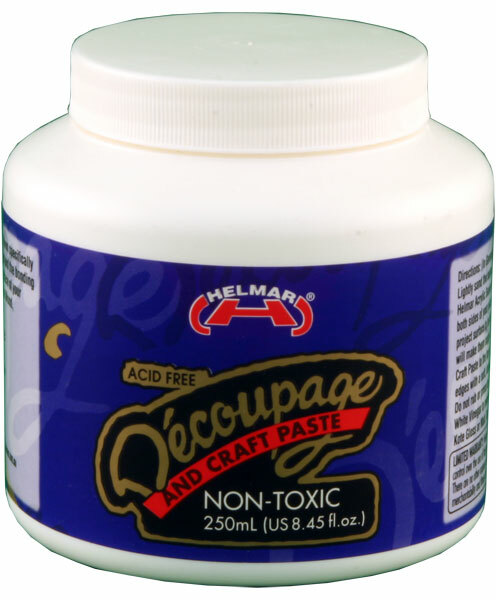 My Helmar Acid Fee Glue is my go to for nearly every project I work on. I go through at least a container of this every two weeks. So, today I decided to share with you something that I am addicted to making at the moment - Art Journal Covers. They could be pieces of Art on their own as I make them separate and then stick them to my Art Journal covers. It is a pretty straight forward project and anyone can give it a go. All you need is some glue, paper, a chipboard title and maybe a few embellishments (I used some canvas and fibres as added extras) or inks. A blank art journal, a piece of cardboard the same size as my art journal cover, some paper scraps (these are leftovers from a Collection I just loved but didn't know what to do with) and my Acid Free Glue and some Liquid Scrap dots. Then all I did was cut my papers into different sizes that when stacked will create layers. I fussy cut some, trimmed some right down and others I left whole. Once I was happy with the "stack" I began sticking it down. The very first layer I stuck down using my Acid Free Glue directly on to the cardboard base (that will later be fixed to my journal cover), then I repeated this process for the second layer. For the third layer I added some Liquid Scrap Dots for some dimension. I then repeated the process. I kept the layers very random in that I didn't necessarily alternate between glue and Liquid Scrap Dots, I just added dimension as I needed to add some visual interest to the cover. If you didn't have any Liquid Scrap Dots you could substitute these with pieces of cardboard (using glue to adhere them)or Zapdots. The stickyness of glue dots will not withstand a lot of handling and as a journal will be used make sure you reinforce your work. Acid Free Glue will do the trick! Once all the layers were in place I added a few embellishments including an embossed chipboard title, a handmade teal heart from Charms Creations and a little flair button. As a final touch to add a bit of bling I added a few red rhinestones. As I said my Acid Free Glue is my go to. All my embellishments are adhered with it. It does take a little bit of time to dry on things that aren't paper but it is strong and does the job if you have a bit of patience. You can see some dimension it this side shot. Here are a few more close ups so you can check out all the embellishments. Thanks for checking out my creation today. Oh, and there is a process video too. You will have to head over to my YouTube channel POPLEOPOD to check it out. I can't wait to show you what else I have planned for next month. Donna here to show you how to turn a plain old container into a treat bucket to hand out goodies to the little goblins at your door on Halloween. I took a container that we get things in at work, it is clear and I usually put some of my craft items into them. When that was dry, I tore up some green tissue paper and applied that to the bucket with Helmars Craft & Hobby PVA Glue added with a little water. I then took a Halloween napkin that had Sugar Skulls on it, cut out the images and glued them on using the same Helmar glue. I cut out 5 of them and added them to all sides. When that was dry, I took my Helmar Premium Craft Glue ( LOVE this glue!!!!) and added spiders, flies and such that I purchased at the Dollar Tree store and attached them to all sides. Thats it, easy to make and fun way to hand out goodies. Here is a photo with candy inside. Only problem now is keeping my husbands hands out of the bucket!! Here is a picture of the two glues I used in this project. Helmar carries everything you want for your crafting needs, check them out here and shop for the best glue around. You are adored, with Tamiko. Hey Helmar followers, guess who is back?!?! So grateful to be rejoining the Helmar Creative Team and I am very enthusiastic about getting to know my team mates! I am even happy to bring you some more awesome ideas and uses for Helmar products. Today I made a Shabby Chic for a female! I used patterned papers from Prima Marketing and fussy cut images to create embellishments. Distressing edges of the papers and layering them or rolling down a corner to expose another layer was done best with Super- Tac Glue. Super-Tac is very fluid and does not add any bulkiness between the layered and/or rolled papers and and sticks fast.. I also used the black zapdots, which are my fave, to help add dimension to areas I wanted to pop off the card. I also used some 450 Quick Dry, when I rolled flowers I made from small circles of paper. 450 also aided me in adhering the faux rhinestones, lacy ribbon, flat-back pearls, and adding what appears to be floating butterflies on wire. I chose to use 450 because of its gel like thickness. It easily allows non porous items to stick easily and it almost acts like it hugs things that don't feel to be super even or flat in surface. The globs of glue even dry crystal clear!! I totally enjoy making cards like this and while yes, they are often so bulky; they don't fit in regular flat envelopes; and I usually use a box or make one to put it in, isn't the look so worth it? I can ALWAYS count on my Helmar Adhesives to do their job.. and hold it all together (smiles). You can too!! As always it's been a joy, I appreciate you for stopping by!! Hi all Vicki-Ann here today for the Helmar Creative Team. I am so pleased to be on the team for another 6 months and would like to welcome all the new team members. I am looking forward to seeing everyone's projects. For the last 2 years for my daughters birthday, instead of giving her a card I have painted her a small canvas of an owl. We both love owls and as you might know they are one of my favourite things to add to my art. She loved him and he sits on her computer desk on a little stand. List of items to make this canvas panel. I used the Helmar Decoupage and Craft Paste. Collaging the background with music paper, book paper and some Tim Holtz washi tape. I then added Gesso to blend it into the background and painte dover that with DecoArt paints. I added some stenciling and stamping. Then on some book paper I drew the owl and painted him with DecoArt paints adding doodling with a stabilo pencil and black pen. I cut him out and added him to the page with the Helmar Decoupage and Craft Paste. Once he was thoroughly dry, I added more doodling around him to blend him in to the background. I drew the legs and feet adding a piece of collage with the Helmar Decoupage and Craft Paste to the bottom of the canvas so that he had a hill to stand on. I added some dangles to the top left of the canvas and coloured them in. I then sealed my canvas with 2 coats of Helmar Crystal Kote Matte Varnish this protects it from dust, yellowing and fading. I am hoping over the years to come as my daughters birthday comes around again, that I will keep adding to her collection of colourful whimsical owls. Hello crafty friends, Martha Lucia here to share with you a fall card that I made using two of my top products for creating cards. These are total "must-haves" in my crafty bag. If you want to know what they are, take a look at my card and follow my tutorial! Cut the base of the card using Soft Suede card stock. The size is 4-1/4"x11". Then I made score in 2-3/4" and 5-1/2". Cut and strip of card stock in a contrast color. The size is 11"x1-1/2". Make score in 2-3/4" and 5-1/2"
Cut and paste the layers to decorate the fronts of your card. To paste the layers of my cards, I always use Helmar Quick Fix Permanent Adhesive Runner as this is my number one product. I pasted the inside layer first. The size of this is 4"x5-1/4". Then with the same adhesive, I pasted the outside layers. The size of the pool party mat is 2-1/2"x4" and the decorated layer is 2-3/8"x3-7/8". Now comes the moment to stamp and cut your images. For this purpose I used different designer papers for the base and different colors of inks for the leaves. I fussy cut the leaves with scissors. Then I pasted the Z-Fold banner using Helmar Quick Fix Permanent Adhesive Runner only on the left and right sides on the opposite side of the card as you can see in the photos below. I stamped the sentiments thanks for everything and pasted the leaves using Zapdots, my second essential product as a cardmaker, white and clear. As final touch I added an Aqua Skittle using Helmar Gemstone Glue on the center of the leaves. This adhesive is perfect to paste plastic, glass beads, rhinestones or pearls on my projects. You may notice in my photo that it looks white, but the advantage is that when it dries, it is totally clear and looks transparent. This is another view of my card - this is how it looks from a top view.